This Sunday is National Earth Day! In honor of the occasion, we wanted to share with you some of our favorite ways to “green” your beauty routine. By adapting just a few of these suggestions into your everyday beauty regimen, we're firm believers that it can help not only to keep you looking beautiful, but our planet as well! Reduce. Try and use every last drop of each of your beauty products before you toss them to reduce the amount of waste. Use a lip brush to get the last bit of lipstick out and cut open plastic foundation or moisturizer packages to get a few more uses. Reuse. Instead of using cotton pads to wipe off eye makeup, why not try using a wash cloth that can be reused instead? Recycle. Many shampoos, body soaps and even makeup products are now sold in eco-friendly packaging that can be recycled. Turn it off. We mean the water! Did you know that every minute the faucet runs, two gallons of water go down the drain? With that in mind, turn off the water when you are cleansing your face (C&P Tool anyone?) and only have it running when it’s time to rinse. Opt for oil. Facial oils (essential, botanical or seed varieties) are an awesome eco-friendly alternative to your everyday moisturizer. Make sure to use your massager attachment when applying! DIY – Do it yourself. There are plenty of recipes for products, like face masks for example, that can are 100% natural and that you can make cheaply at home! 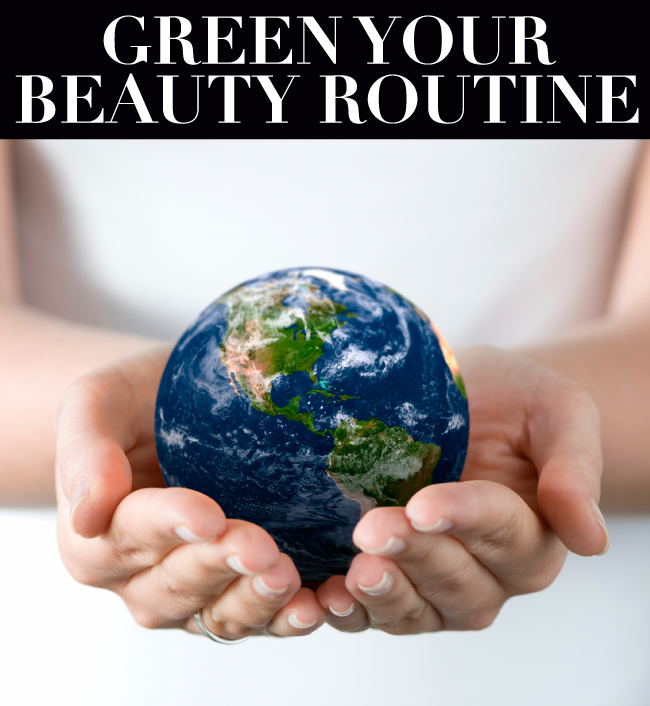 What are your top ways of greening your beauty routine?